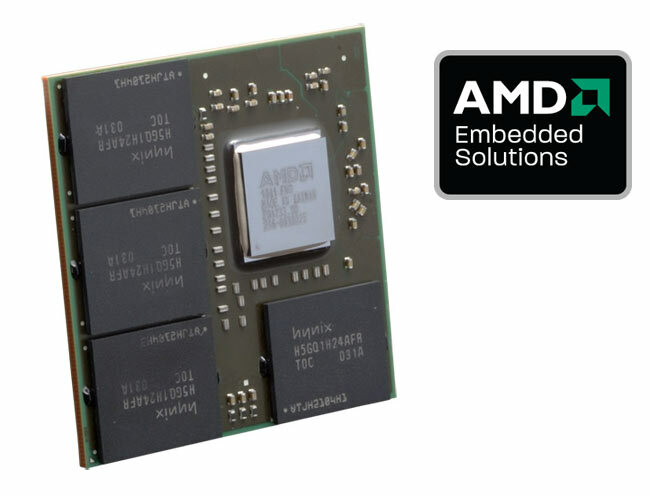 AMD has announced today the launch of a new embedded discrete graphics processor, the AMD Radeon E6760 GPU which is the first to offer both OpenCL support together with the ability to support six independent displays. The new GPU has been designed to help alleviate power and density constraints for embedded system designers, now providing them with a solution providing advanced 3D graphics and multimedia features, and fully supports DirectX 11. With 480 processing elements, the AMD Radeon™ E6760 GPU delivers up to 576 GLOPs peak single precision floating point performance for ultrasound, radar and video imaging applications. The AMD Radeon™ E6760 GPGPU capabilities are enabled by AMD Accelerated Processing technology, the industry standard OpenCL™ programming language and the AMD Stream Software Development Kit (SDK). The new AMD Radeon E6760 GPU can also be combined with AMD’s upcoming high-performance A-Series Accelerated Processing Units (APU) codenamed “Llano” to offer additional graphics capability and additional parallel computing power id required. For more information about their new GPU visit the AMD website.